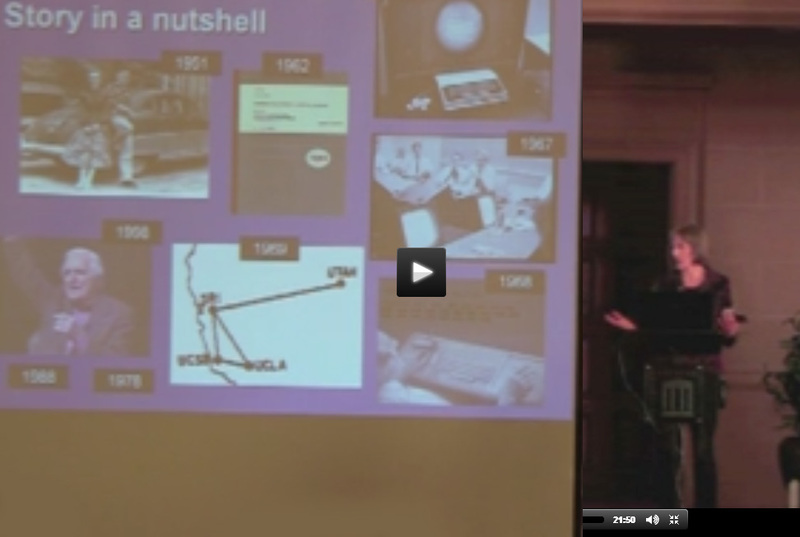 Watch the video tribute below for a brief overview of Doug Engelbart's pioneering work. See also A Lifetime Pursuit for a short biographical sketch of his career – his vision, inspiration, accomplishments, and strategic approach – how and why he did it all. For more, check out his Oral Histories by the Computer History Museum, the Smithsonian, and Stanford University Special Collections. 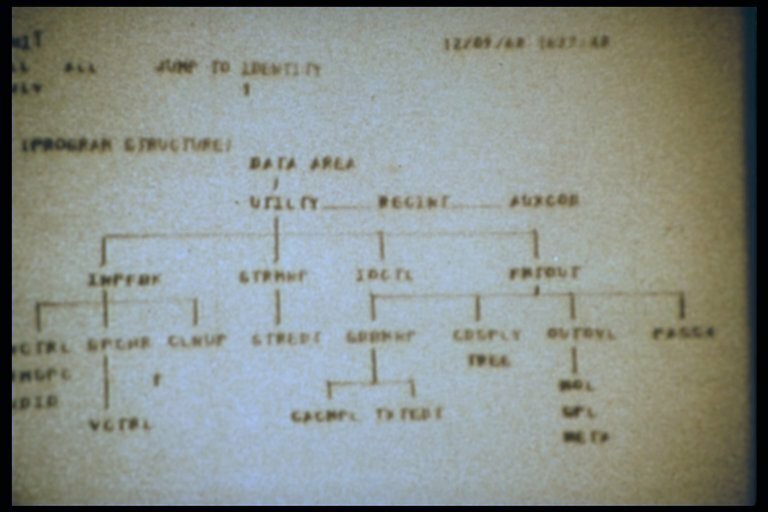 Most of these 'pioneering firsts' were in full operational use within Doug's research lab by the mid to late 1960s, through a unified system called NLS. 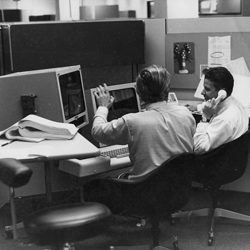 NLS was continuously evolved, along with his team's processes and thinking, following Doug's innovation strategy – one of his little known organizational firsts, a customer-centered, rapid-prototyping 'bootstrapping strategy' for 'augmenting the human intellect'. For a brief overview, see Story of a True Pioneer above. 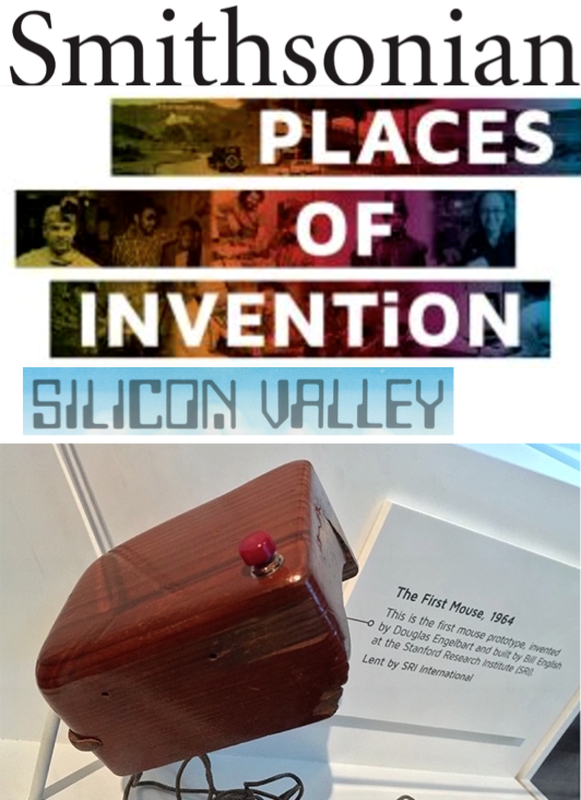 the public debut of these firsts and more came to be called the "Mother of All Demos"
For a quick tour of exhibits at other institutions see Special Collections by Institution below including: ♦ Smithsonian ♦ Computer History Museum ♦ Stanford University and ♦ SRI International. For a bulleted list of just technological firsts, see A Lifetime Pursuit section on Pioneering Firsts. Photo Albums on Facebook - NEW! 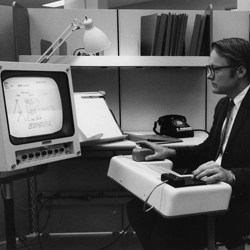 the largest collection of historic photos from Doug Engelbart's work now online at ARC Bootstrapper Albums on Facebook, and for more recent photos see Doug Engelbart Institute Albums on Facebook. See also sections on Stories and Special Collections by Institution below. 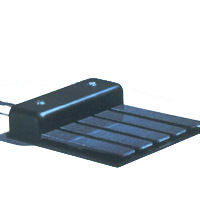 The archives include the original computer mouse (owned by SRI International, now on exhibit at the Smithsonian), later production mice, and various versions of the 5-key keyset -- an input device for entering commands and text with the left hand while your right hand is pointing and clicking with the mouse. In the "Revolution" Exhibit at the Computer History Museum in Mountain View, CA, you can see an authentic replica of the original mouse, along with a few early production mice and keysets. You can now tour the "Revolution" Exhibit online -- see the section on The Mouse is in the Input & Output topic, and a late-model Keyset in the Navigating Information topic. See Special Collections below for more at Computer History Museum. 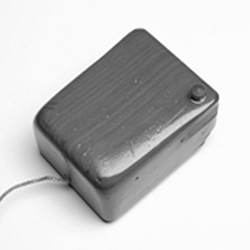 You can also see an authentic replica of the original mouse in the main lobby at SRI International in Menlo Park, CA, where Doug conducted his historic research, in a display case showcasing his work along with other prominent SRI inventions; the Engelbart display includes the wooden mouse, historic photos of Engelbart, and a brass plaque rendering of the US Patent on the mouse. See Special Collections below for more at SRI International. 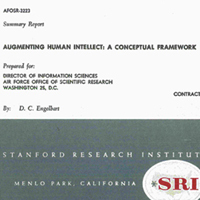 Doug's Published Papers and Books - bibliography maintained at Doug Engelbart Institute with links to all of Engelbart's published papers and books, selected white papers, as well as links to books that feature his work. At Stanford University - Doug's lab notebooks, correspondence, reports, memos, papers - available at the MouseSite Archive page, Stanford Libraries Special Collections, with links to their Annotated Table of Contents page, and Finding Aid - a Partial Guide to the Douglas C. Engelbart Papers, 1953-1998. Selected papers and reports are available online, the rest are hardcopy only. Stanford's extensive physical collection includes Doug's original notebooks, calendars, files, videotapes, audiotapes, etc. See Special Collections below for more at Stanford University. At the Computer History Museum - home of hundreds of historic hardcopy documents from Engelbart and team's early work at his SRI ARC research lab, including the NLS/Augment Journals, and the complete archives from the Network Information Center (NIC) which was launched in Doug's lab by Jake Feinler. 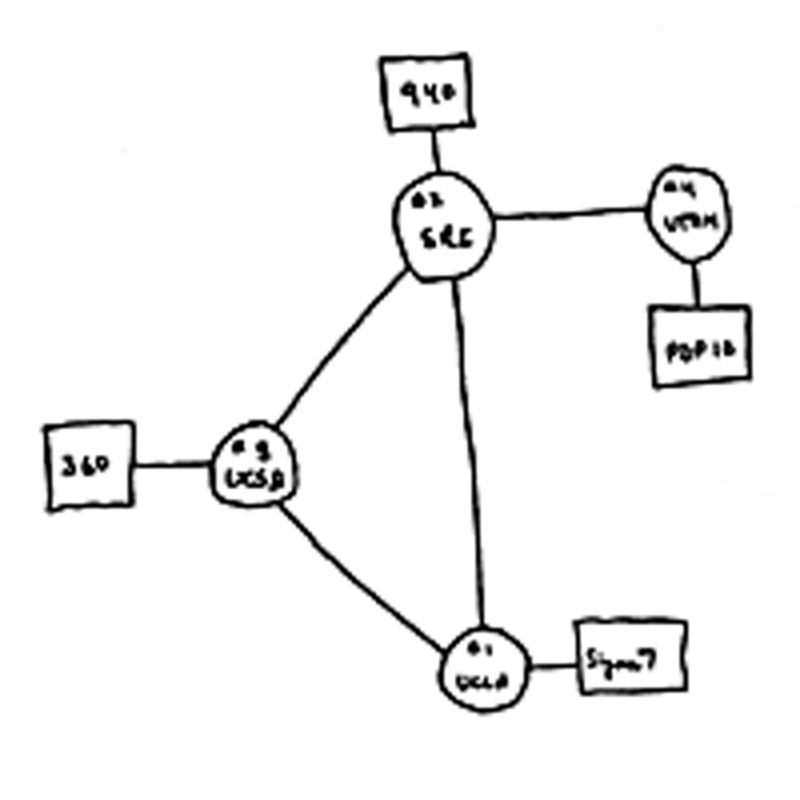 See the Finding Aid: Guide to the SRI ARC/NIC Records. See Special Collections below for more at Computer History Museum. Biographical and Professional Highlights - Thumbnail bio with links to his awards, publications, patents, CV, biographical sektch, and more. 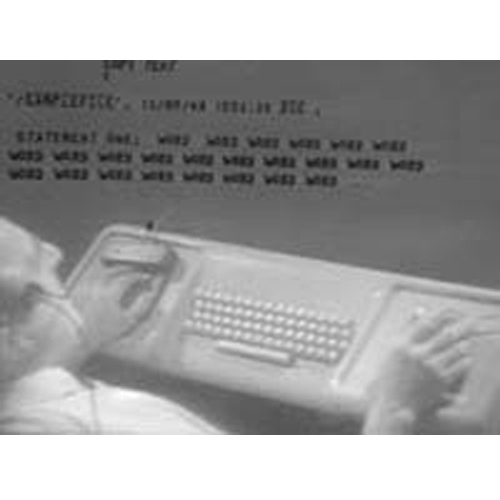 Press Clippings - comprehensive listing of press articles and news clips about Doug and his work dating back to the 1970s. 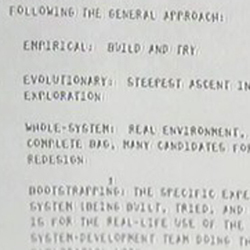 The Bootstrap "Paradigm Map" - slides used by Doug throughout the 1990s to describe his guiding vision, includes links to videos of Doug's sessions presenting the key concepts at various venues. We also maintain and continue to use a working version of NLS/Augment software on a Sun server, as well as various iterations of the Augment client software, including AugTerm and Visual AugTerm (VAT). Augment and AugTerm are also being preserved by the Software Preservation Projects. 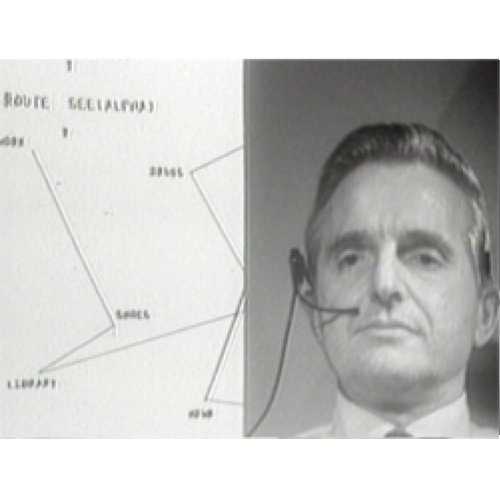 Watch Demos of the NLS/Augment software given by Doug Engelbart and members of his team dating back to 1968, including what is now known as the "Mother of All Demos." See a sampling of our Early Institute Homepages dating back to 1996. 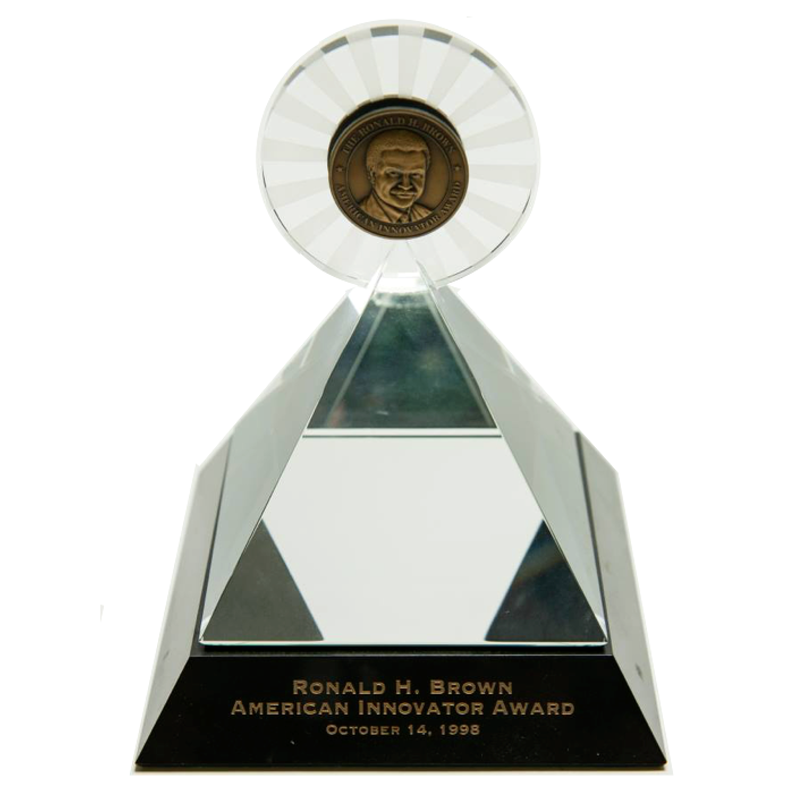 See Honors Awarded to Doug Engelbart for comprehensive listing of awards and recognitions dating back to 1968, as well as our NEW Gallery of the Engelbart Awards Collection. 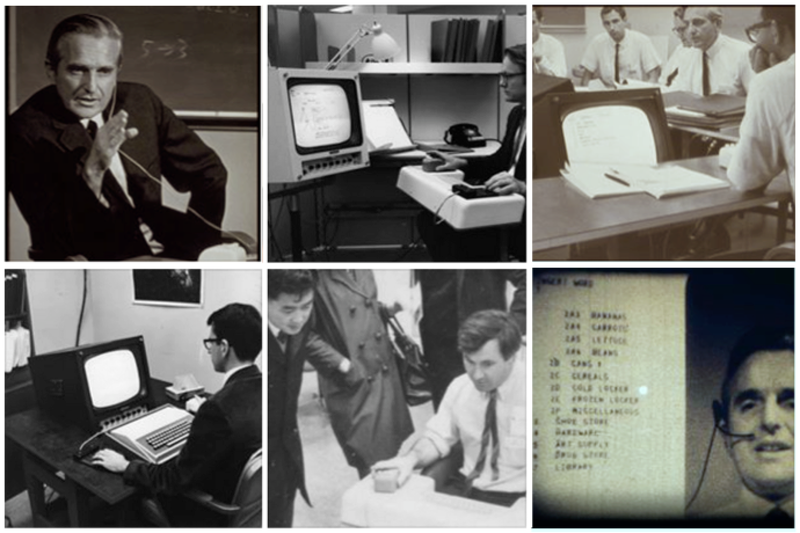 Doug Engelbart Institute: The Doug Engelbart Archives, our main portal into Doug's archives, as well as the following selections on the main menu of our website: About | About Doug, History, Library, Press | Press Clippings. 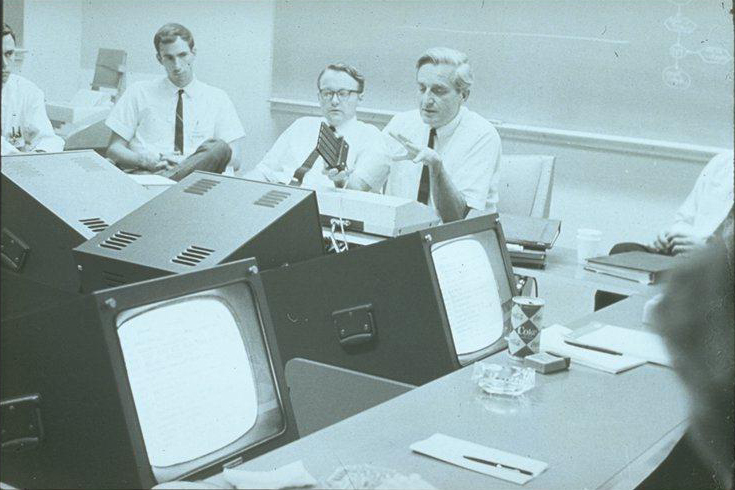 Special subcollections include stories of pioneering firsts such as the mouse, the 1968 demo, interactive computing, groupware, hypermedia, networking, Vannevar Bush's influence on Doug's work and other pioneers of the information age, and the strategic approach from which all of it emerged. We are currently processing all his work materials (50 years worth) from his home. 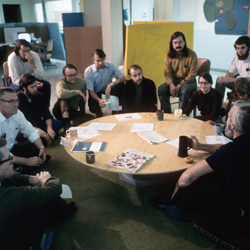 See also the Doug Engelbart Institute on Facebook and ARC Bootstrapper on Facebook for more photos and postings. Stanford University: curators of the comprehensive MouseSite and the extensive Douglas C. Engelbart Collection (about 1/3 of his total archives) including the majority of Engelbart's lab notes, memos, proposals, reports, articles, meeting records, mouse patent, archival film, video footage, audio tapes, and photos -- and online "MouseSite" Demo page (excellently annotated! ), Archives portal, Finding Aid and Contents and more; video archives of the 1998 event Engelbart's Unfinished Revolution and the 2000 Engelbart's Colloquium at Stanford, the Oral History Interviews, Silicon , and Partial Guide to the Douglas C. Engelbart Papers, 1953-1998 (see our Stanford Collections portal for additional details). 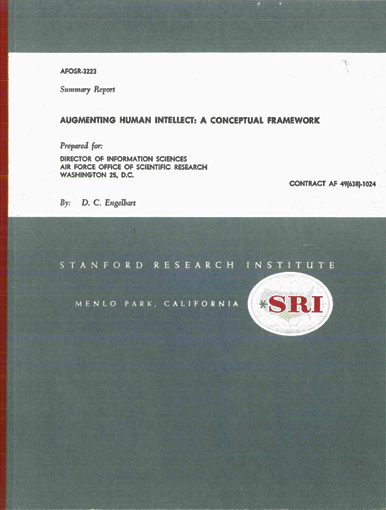 (3) In the CHM Hall of Fellows you can find Engelbart's 2005 Fellow Award. 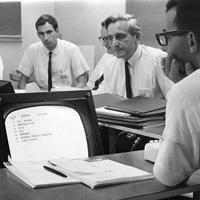 The CHM also curates considerable hardcopy Engelbart archives (about 1/3 of his total archives) including documents, notes, and records from Engelbart's historic lab at SRI and from the Network Information Center which launced in his lab; see the comprehensive Finding Aid compiled by Jake Feinler, as well as the CHM Jake Feinler Oral History (102702199); it is also home to the Software Preservation Project. Smithsonian Museum: The original wooden mouse is now on exhbit at the Smithsonian's National Museum of American History, in their new Lemelson Hall for Invention & Innovation, in an all new exhibit titled Places of Invention. See our Photo Gallery and our On Exhibit:Smithsonian showcase for more. 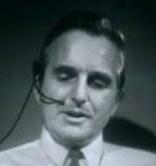 The museum also curates the Douglas Engelbart Oral History taken as part of their Computer History Collection; excerpts from Doug's 1968 Demo were also showcased in their award-winning Exhibit on the Information Age.